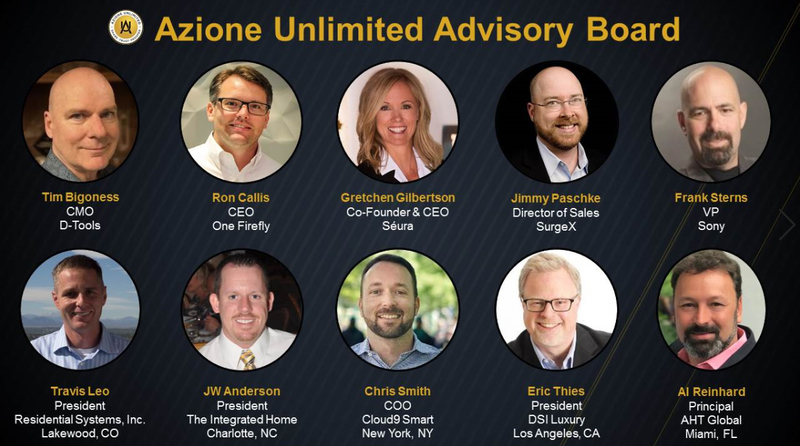 Davie, FL – One Firefly, LLC, an award-winning marketing agency that caters to technology professionals, announced today that CEO and Founder Ron Callis has been selected to join Azione Unlimited’s Advisory Board. Azione Unlimited, a consumer electronics buying group for like-minded dealers, retailers, custom integrators and vendors, employs a 10-member board comprised of representatives from both dealer and vendor members to help shape the organization’s vision while assisting with the implementation of various committees. Members are selected by a vote from their fellow members and peers within the organization and serve a 3-year term. Ron Callis will join a group of established individuals and industry leaders currently serving on the Advisory Board, including Tim Bigoness of D-Tools, Gretchen Gilbertson of Seura, Jimmy Paschke of SurgeX, Frank Sterns of Sony, Travis Leo of Residential Systems, JW Anderson of The Integrated Home, Chris Smith of Cloud9 Smart, Eric Thies of DSI Luxury Technology and Al Reinhard of AHT Global. Azione Unlimited offers its members access to a nationwide network of high-caliber business owners, diligent rebate monitoring, monthly webinars and free semi-annual conferences. Azione Unlimited is a consumer electronics buying group for like-minded dealers, retailers, custom integrators, and vendors. Together, we achieve a greater level of prosperity, technical acumen and business sophistication.